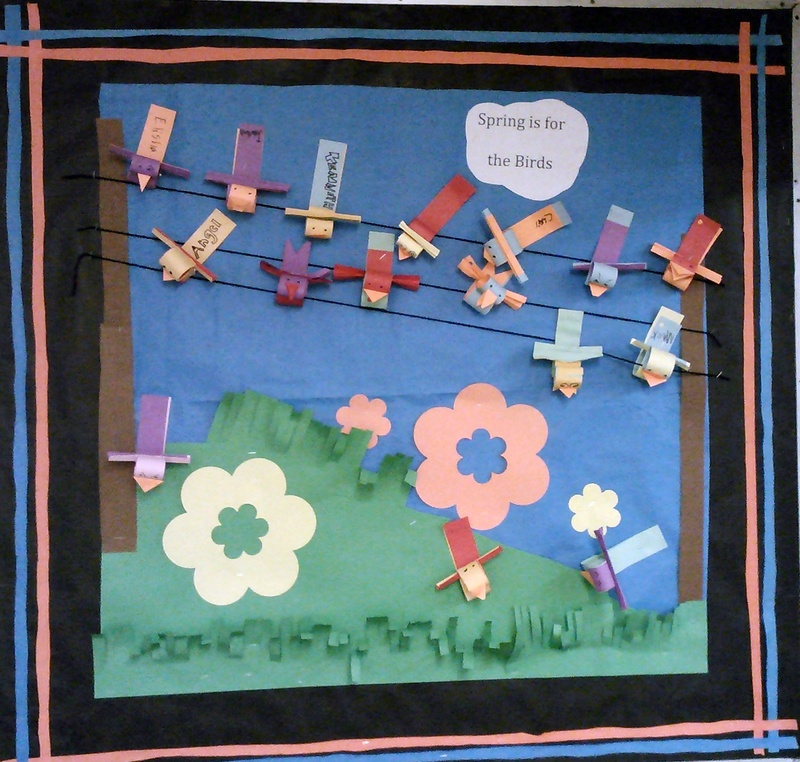 It is time for a new Spring bulletin board. I became inspired by the paper curl bird on fun family crafts here. I changed it a little bit mainly because I didn’t think my students would be able to handle that many paper curls. I continue to try to have some speech therapy value with the bulletin board. This one will promote giving and following directions as well as understanding idioms. As in the past I used the app Storykit to have students produce and narrate the instructions on making the birds. I hope you have found this great free app by now. It is in the blog roll if you need to find it. 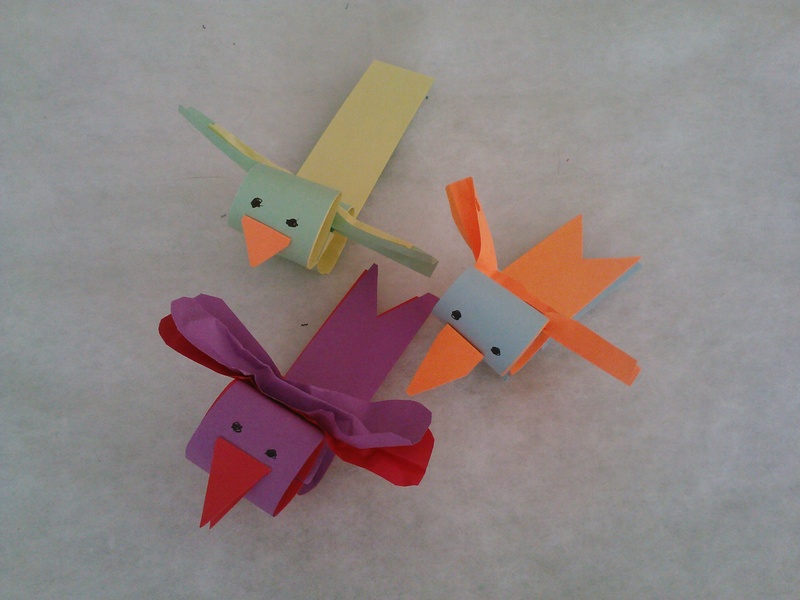 Here is the story kit link to How you make Paper Birds. If you use the app it will look like a book with pages rather than a story board. My older students will have a homework component. I made flyers with idioms printed on them and they can either write or tell me the meaning after researching it. Here is the flyer. Bird phrases. I’ve been giving animal crackers for a reward lately. They go with the theme of Spring animals and I tell myself they aren’t as bad as giving candy. The students seem to like to work for them. This is the look of the bulletin board so far. The birds are suppose to be sitting on wires. I guess you could say it is a work in progress.